A growing number of studies now suggest that the vast and diverse microbial ecosystem of the gut has its own daily rhythms. These microbiome rhythms appear to be deeply entwined with circadian rhythms, the 24 hour biological rhythms that regulate sleep and wake cycles in addition to many important physiological processes. Research suggests that both circadian and microbial rhythms are capable of influencing and disrupting the other, with consequences for both health and sleep. According to research, the rhythms of gut microbes are affected by what and when we eat. A study using mice found that when they ate a healthy diet, they generated more beneficial gut microbes, and that the collective activity of microbial life in the gut followed a daily — or diurnal — rhythm. That rhythm in turn supported circadian rhythms in the animal. Mice that were fed a high-fat, stereotypically “Western” diet, on the other hand, produced less optimal microbial life. The gut microbes of these mice did not adhere to a daily rhythm themselves, and also sent signals that disrupted circadian rhythms. These mice gained weight and became obese, while the mice that ate healthfully did not. Scientists bred a third group of mice without any gut microbes at all. Because they lacked a gut microbiome, there were no bacteria to send signals to the rest of their bodies. Circadian disruption occurred in these mice, but they did not gain weight or suffer metabolic disruption, even when fed the high-fat diet. This suggests a couple of important conclusions. First, microbial activity is key to normal circadian function and, therefore to sleep. Second, that the microbiome is a key player along with diet in the regulation of weight and metabolism. Research in humans has returned similar results. 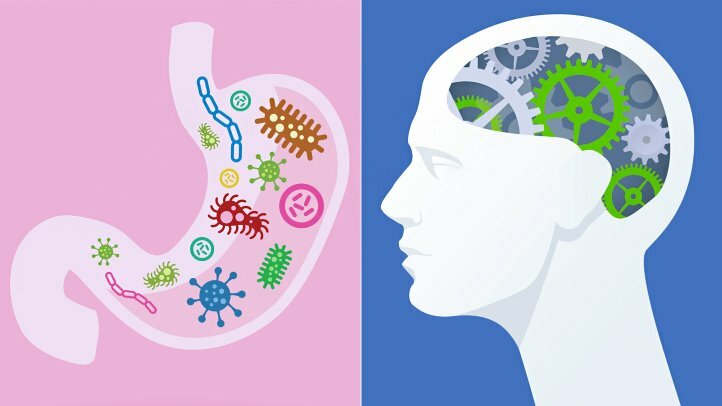 The human microbiome appears to follow daily rhythms influenced by timing of eating and the types of foods consumed, and to exert effects over circadian rhythms. Research has also found that the relationship between these different biological rhythms works both ways. Scientists have discovered that disruptions to circadian rhythms — the kind that occurs through jet lag, whether through actual travel or from “social” jet lag — disrupts microbial rhythms and the health of the microbial ecosystem. People who experience these changes to microbial rhythms as a result of circadian disruption suffer metabolic imbalance, glucose intolerance, and weight gain, according to research. We’ve known for some time about the relationship of sleep, circadian rhythms, and metabolic health. Disrupted sleep and misaligned circadian rhythms have been strongly tied to higher rates of obesity, and to metabolic disorders including type 2 diabetes. This emerging knowledge of the microbiome and its relationship to circadian function may in time deliver to us a deeper understanding of how health is influenced by sleep and circadian activity.